When you’re charged with a criminal offense, no matter if it’s traffic related, a misdemeanor, or worse your first action should be to work on your defense. Without a proper defense, you risk putting your future in jeopardy. A criminal conviction cannot only put a permanent mark on your record, but it can also limit your future goals and opportunities. That’s why we’re here to help. When you’re accused of a crime, Van is the man to help you defend yourself. Schedule an appointment today by filling out our contact form, calling us at (804) 835-5127, or visiting us at our Petersburg office. 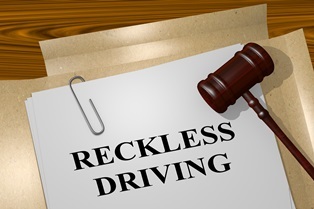 You can also view our results for cases similar to yours by using our reckless driving sentence estimator free on our site. You owe it to yourself to protect your future; let us help! I was traveling in VA and got a reckless driving ticket (91 in a 65 mph zone). I’m a truck driver by trade so my CDL was in jeapardy of being suspended. I contacted the law offices of Charles V Hardenbergh and they immediately got right to work on my case. I was guaranteed results but never did I expect for my ticket be reduced to a simple speeding ticket. Team Hardenbergh is the Bomb!!! !